The electoral process in India has historically set a benchmark for democracies — not only in south Asia but also around the world. However, ever since the country introduced portable Electronic Voting Machines (EVMs), concerns over their reliability have regularly surfaced. What earlier used to be stray remarks by political parties have now turned into a full-fledged media debate. Apprehensions that somehow the Election Commission of India (ECI) is shirking its responsibility around the issue of transparency when it comes to EVMs have gained ground. As India braces for one of the world’s largest democratic exercises — the general elections of 2019 — some of these allegations have started to resurface. 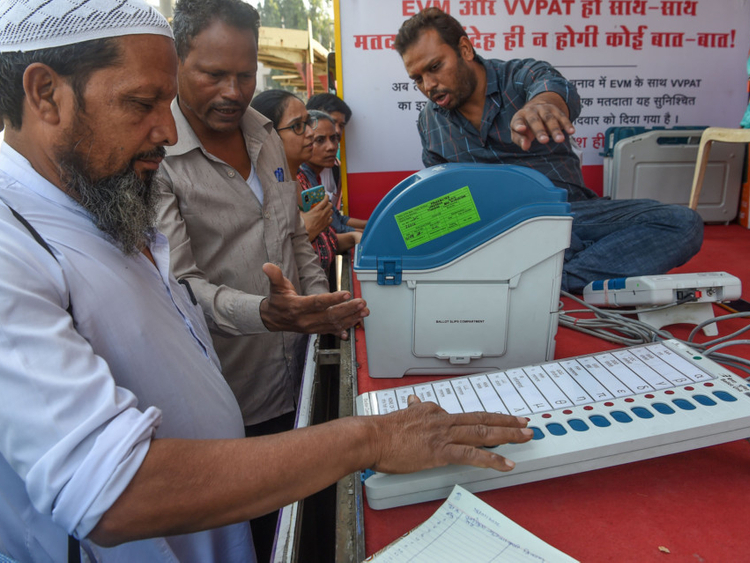 Recent claims by a US-based cyber expert, Syed Shuja, that India’s EVMs could be hacked using a graphite-base military-grade transmitter have triggered a political maelstrom. While experts have rubbished the claims, a debate lingers as to whether it is possible to tamper with the voting machines in favour of a particular party. This has prompted the Election Commission to ask Delhi Police investigate the claims made by the cyber expert. The introduction of voting machines in 1999 was expected to streamline the polling process. Over the years, the machines proved to be a huge success by reducing several safety concerns around old paper ballots, which ran the risk of being tampered with. Voting machines also reduced the chances of ballot stuffing, which remains high in some parts of the country. For India’s 2019 general elections, more than 11 million election officials and security staff are expected to operate nearly 935,000 polling stations over 543 electoral constituencies. Understandably in a country that is about the size of a continent, it is likely that a tiny percentage of the 1.7 million voting machines might malfunction. This surely has the risk of delaying polling in the affected booths or turning voters away from some others. However, by questioning the credibility of the entire electoral process, there is a huge risk of putting democracy in India in danger. Allegations that India’s voting machines can be hacked en masse not only tarnish the country’s democratic credentials but also create unnecessary doubts in the minds of the people. It is time the government of India tackles this misapprehension and restores the people’s faith in the electoral process. A democracy can afford a healthy fight but not constant foreboding.